Banff Symposium Reaches New Heights! 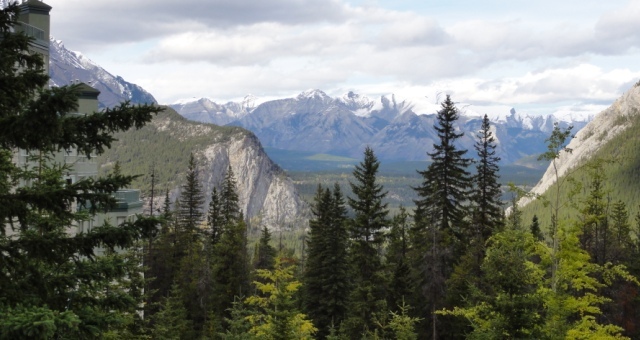 From the moment we arrived in Banff we knew this was going to be an amazing experience. 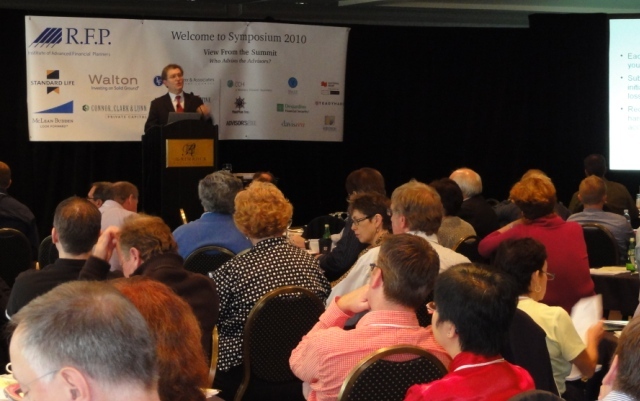 Another milestone for Symposium 2010 was the invitation to Non-Members to attend. Twenty-two Non-Members attended the Symposium, and nine of those have become new IAFP members. The theme of Who Advises the Advisors was investigated using the case study as reference. The case study covered the personal and business needs of a typical 56-year-old financial planner looking to retire in the next 5 years. Speakers and Delegates examined issues around business valuation, succession and estate planning, asset allocation, systematic withdrawal plans, due diligence and professional liability. We also took a look at specific challenges with client relations, and a host of other issues related to end-of-career planning. We all came away enlightened on how professional resources can help a planner transform a successful career into successful retirement! Saturday participants explored the next step in ETF evolution, then engaged in roundtable discussions for a case study review led by E.D. Larry Colero, CMC. IAFP Members can read the roundtables’ responses to nine questions at Case Study Post-Symposium Notes. Anyone can participate in a current discussion of the case posted on Advisor.ca (“CHALLENGE YOURSELF WITH THE IAFP CASE STUDY”) which also includes links to coverage of Symposium highlights like Preston Manning on integrity and Pat Dunais on the conflicts and legalities of blended families. The Mountainview BBQ held Thursday night was a hit with a record number of attendees. The Gala dinner at the fabulous Rimrock Resort Hotel was also a highlight for many delegates and guests. 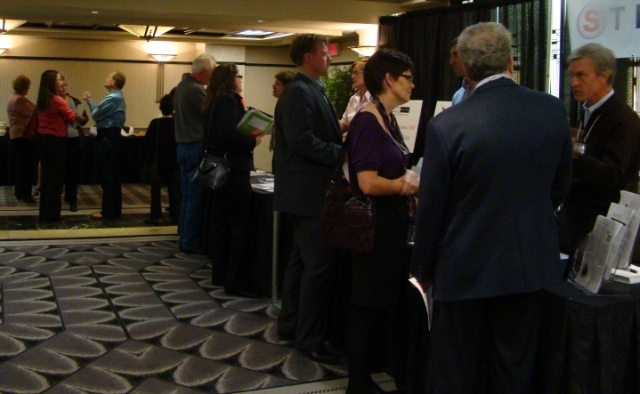 Get ready for Symposium 2011, October 13th to 15th, at the Hyatt Regency Hotel on King Street, in Toronto!